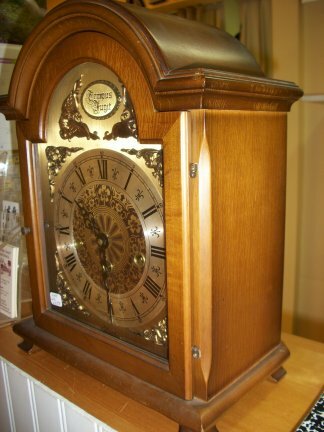 8 DAY MANTLE -1745 Westminster chime mantle clock. 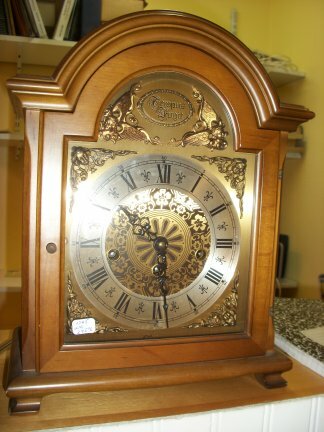 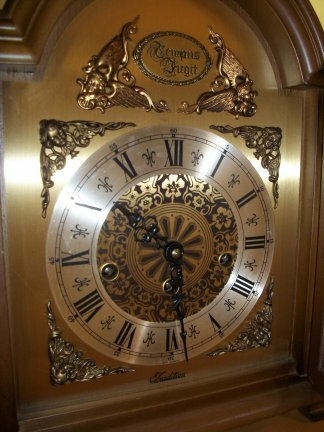 This is an 8 day Westminster chime mantle clock. 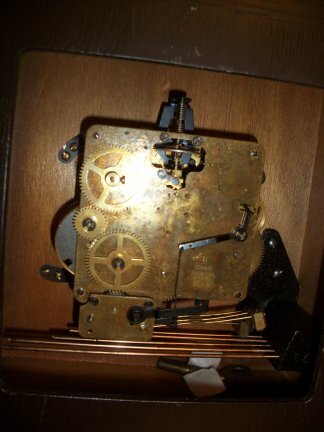 Closer view of the works, it has a floating wheel balance.